Complimentary Valet parking. Street parking is also available. Cotoletta is an Italian BYOB. We are a throwback to old world ideals and a different, slower way of living. To us, the kitchen is a place to prepare meals made with love so it can be savored while enjoying the camaraderie around the table. Cutlets sliced thin, pounded to perfection! Excellent meal! Loved the Stack and veal milanese. There cutlets are the best. Everything was just delicious. Service was great. Relaxed atmosphere, attentive staff. Excellent wait staff they are very attentive, knowledgeable, and efficient. Veal chop Parma and Milanese are outstanding. Try the pastas as appetizers - all were great. Can’t wait to go back. I was there twice in one week and found the service very attentive. During the second dinner the owner/chef came to our table and chatted with us. The food on both of my visits were different entrees and starters. Both were delicious. I had the Shrimp Fra Diavolo on my first visit. excellent sauce and the pasta came out nice and hot which I am a stickler for. 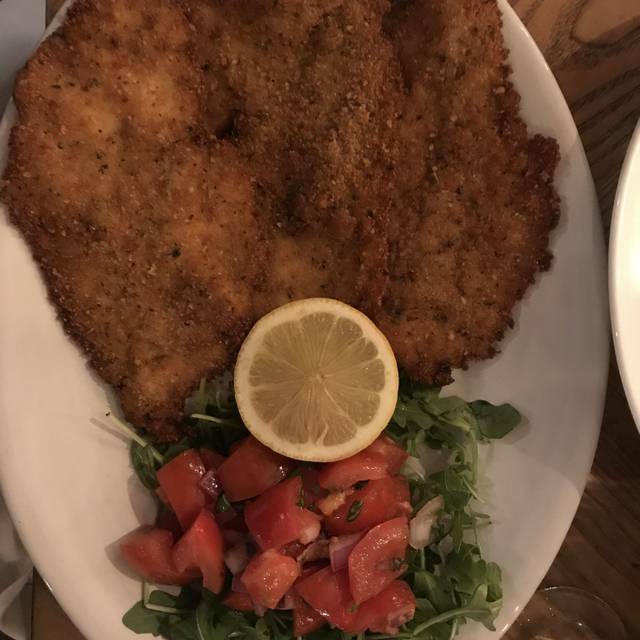 On the second visit I had one of their classic dishes, Veal Milanese. I rarely eat veal but this was cooked, seasoned and breaded perfectly. 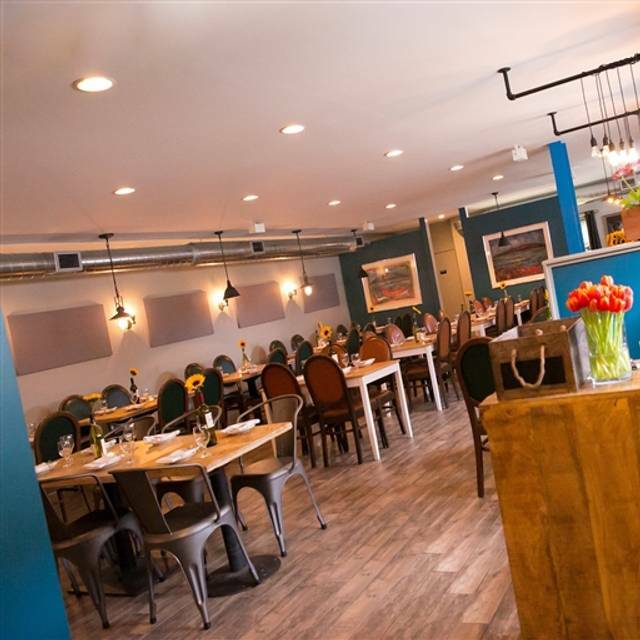 We've been to Cotoletta several times and have always loved the food. However, we particularly enjoyed this visit on a more mellow Sunday evening. Weekend nights are understandably jam-packed and it was a nice change to dine in a quieter, more-relaxed atmosphere. In any event, we love Cotoletta on any evening and highly recommend it. Delicious cutlets, as the name would suggest, and they always have appealing special additions to the menu. Wonderful meal. Matt, our server, was friendly and attentive. We arrived around 6:30 pm on Saturday night so restaurant wasn't full, but by the time we left it was packed and the noise level was pretty high. However, we could still have a conversation. Will return. I was very happy with this lovely little BYOB in Belmont Hills. I had the Veal Milanese with a side of pasta. My mom had Veal Marsala with a side of Broccoli Rabe and both were excellent. I had the ice cream balls for dessert and my mom had cannolis, also excellent. Nice atmosphere, friendly servers and good food! Had reservation waited for and extra 40 minuets, food outstanding will never go back on a Saturday night. They rush us out because ppl where waiting 4 times a asked if we had finished big turn for! Cotoletta never disappoints us. Great service and wonderful food. I took my two boys (11 and 8) who love the pasta made in the cheese wheal and the waiter demonstrated how they make it. Last night the veal Milanese was especially good. The best hidden gem in the Philly area! From the ambiance to the food, this was an amazing experience!! Food is great. However I asked for the veggies from one fish special to replace the veggies on the other fish special and they said no. It seemed a simple enough request. I was disappointed at the lack of flexibility. Consistently excellent food. Rather noisy and lacks atmosphere, but is well worth the outstanding cuisine. Amazing!! We will definitely be returning!! Cutlets were amazing! Great restaurant off the beaten path. Food and service are outstanding. Favorite Italian restaurant around! Amazing food!!!! Very nice food. The Bronzino was excellent as were our appetizers. The cotolette were a bit overcooked but still good. The service hit just the right tone; not overly intrusive but still very attentive and responsive. The coffee was excellent. I think that says a lot about a restaurant. Surprised how often we are forced to finish a meal with bad coffee. We had an early reservation but the place filled up at the evening went on, even on a Wednesday. The free valet parking really came in handy as one in our party has trouble walking. The food was good but it’s was very expensive. The prices would deter me from returning. We all had a good meal at this restaurant and our server, Michelle, was the best. She explained all the dishes and answered my friends' questions, which were many !! We enjoyed the evening and I am so happy that this really good BYOB is in the neighborhood. Excellent restaurant. I would highly recommend and will be visiting again. Amazing food. Would go back in a heart beat. They did get busy and service ended on the slow side, but otherwise I only have great things to say. First time Cotoletta and it was quite good. All in our party were satisfied with their choices and our server was quite helpful in helping with the selection. Having valet parking was a plus and a return visit will be made. We arrived early for our table Saturday night. It was very crowded. Our table was ready when we arrived. The friends that we were meeting had not arrived yet, but the hostess would not seat us even though the table was ready. So, we were told to sit by the front door (and it was cold!) until our friends arrived and then she would seat us. We had absolutely no idea why we were not allowed to wait at the table even though it was ready. It certainly did not make us feel welcome. Dessert was mascarpone cake- delicious. overwhelmed by the experience... great service and food that's beyond delicious. It was great all around! Fabulous cutlets! Our server was well-informed and polite. Food was OK for a local place. Service was slow and waiters were unattentive. The restaurant is very comfortable and the food excellent. Free valet parking and great service. Highly recommend! Celebrated our daughter’s birthday. Food was delicious as always! Atmosphere was enjoyable! Would definitely go again! Wonderful food and terrific service.